Jeremy is an Eastern Washington native who equally enjoys litigation and advising clients in their business matters and estate planning. 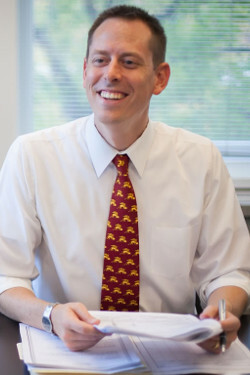 He graduated with honors from Emory University School of Law and has worked at some of the most prestigious law firms in America, including Locke Lord, LLP and K&L Gates LLP. He is admitted to practice law in Washington, Georgia, and California. Estate planning is central to Jeremy’s practice. He is a member of the board of directors for the Walla Walla Estate Planning Council and regularly attends the Seattle Estate Planning Council’s annual seminar to keep current on the latest trends in estate planning. He is also a member of the Washington State Bar Association’s Section on Real Property, Probate, and Trusts. At the same time Jeremy offers limited pro bono estate planning through the Blue Mountain Action Council, doing his part to ensure that all members of society have access to essential legal services. Jeremy also has a thriving practice representing investors who have been harmed by a financial advisor’s egregious misconduct. He routinely travels across the country to represent investors and speak to investor issues, and has been quoted in Georgia’s largest newspaper, Oregon’s largest newspaper, U.S. News & World Report, and other publications on investment issues. 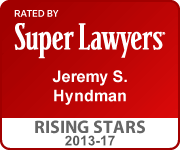 He has been listed as a “Rising Star” by SuperLawyers every year since 2013. For more information about Jeremy’s investor litigation practice, click here. Guardianship proceedings are also an important part of Jeremy’s practice. He is on the guardian ad litem registry for several courts in Eastern Washington, and is on track to become a certified professional guardian (CPG) in 2019.